Similarly situated. Substantially similar work. Comparable work. Work of comparable character. Similarly employed. Until a couple of years ago, the nation’s equal pay laws required businesses to pay people the same for doing “equal” or “substantially equal” work. Since 2016, however, states have been adopting different standards for equal pay as described by the italicized phrases above, and while they all seem kind of vague, they have one thing in common: They expand the pool of employees who can be compared to determine if pay is equitable. New Jersey’s law falls in the “substantially similar work” category, along with California’s and Illinois’. 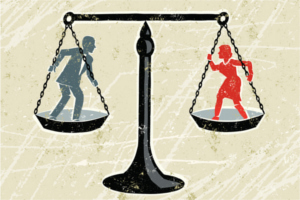 “The persistent gender “pay gap” has led many state and local governments to enact new fair pay laws that are broader in certain respects than federal pay discrimination laws,” attorneys Christopher Patrick and James Mackey of Jackson Lewis explain. audit job descriptions and the actual job duties of employees — skills, efforts, and responsibilities.